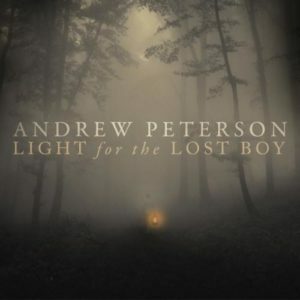 IT’S WITH GREAT EXCITEMENT THAT CENTRICITY MUSIC ANNOUNCES THE UPCOMING RELEASE FOR ANDREW PETERSON, LIGHT FOR THE LOST BOY, IN STORES AUGUST 28, 2012. The project, produced by longtime friend and producer Ben Shive (Jeremy Camp, Sara Groves, Matt Wertz), along with Cason Cooley (Katie Herzig, Mat Kearney, Audrey Assad), features ten new songs written by Peterson. The album will be available in three formats; CD, special edition CD with a 32-page booklet written by Peterson and seven acoustic extra songs, and on a vintage vinyl record. The special edition and vinyl projects will only be available online and at Peterson’s concerts. The album’s title and several of the songs reflect the growing up years of the Peterson children, while at the same time bringing a message of hope for us as we make our way in a broken world. About Andrew Peterson Andrew Peterson is a man of many talents with a successful recording and songwriting career, as well as being an award-winning author and the host of a highly popular online creative community known as the Rabbit Room (www.RabbitRoom.com). Peterson’s previous project Counting Stars debuted at #1 on iTunes, and #6 on Billboard. His single “Dancing in the Minefields” reached the Top 10 on the Christian AC chart, while the video for the song has received well over 700,000 views online. 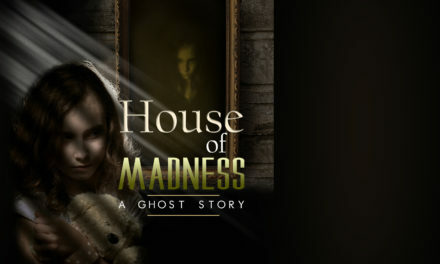 Peterson is currently working on his fourth and final book in the Wingfeather Saga series that releases in early 2013. Book two won the 2010 Christy Award for Young Adult Fiction. In September, Peterson will host Hutchmoot, the third annual Rabbit Room conference for lovers of art, songs, and stories—an event that sold out in seven minutes! Peterson appeared on the spring and fall legs of the Steven Curtis Chapman Songs & Stories Tourand in December will embark on his 13th annual Christmas tour, Behold the Lamb of God. For more information on Peterson please visitwww.Andrew-Peterson.com. Centricity Music is an independent recording and publishing company based in Bellevue, Washington and Nashville, Tennessee. The company’s mission is to enable our artists to create life-changing experiences for the world. Centricity Music’s artist roster includes; Aaron Shust, Andrew Peterson, Downhere, Jaime Jamgochian, Jason Gray, Remedy Drive, Seth Mosley, Sixteen Cities, and Unspoken.